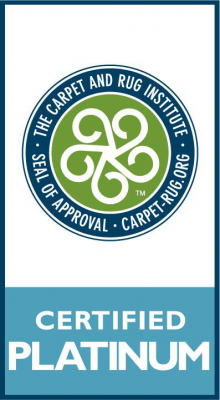 The information in this article follows the spot cleaning guidelines from The Carpet and Rug Institute (CRI), an organization that provides carpet and flooring information based on fact and science, guided by principle. Spills of fruit flavored and sport beverages usually contain acid dyes that can be removed from carpet using an alkaline detergent solution. Always check the colorfastness of your carpet before applying this method of cleaning. While no carpet is stain proof, newer carpets have good stain resistances treatments that allow for spill removal if acted on quickly. 1. Immediately blot the drink spill with a dry, white towel, absorbent plain paper towel, or cloth. Do not scrub the area. Work from the outer edges to the center of the spill to prevent spreading. Continue to blot with clean towels to remove as much of the spill as possible. 2. Make an alkaline detergent solution of 1 tsp of liquid dishwashing detergent in 1 quart (32 ounces) of warm water. Never use a stronger concentration. Do not use an automatic dishwasher or laundry detergent, they contain optical brighteners that can harm your carpet. 3. After pre-testing the cleaning solution, apply a small amount of the solution to a white cloth and work gently into the spill. Do not scrub. Allow the detergent solution to dwell on the spill for eight to ten minutes before attempting removal. 4. Repeat Step 3 as long as the spill continues to transfer to the cloth, it may be a slow process - be patient. Complete removal of the spill may require multiple applications of the cleaning solution. 6. After removing the detergent, neutralize the area with a 1:1 mixture of white vinegar and warm water. Then repeat step 5 and apply a ½ inch layer of white paper towels to the affected area. Weigh the towels down with a flat, heavy object. Change paper towels as needed to absorb and remove all the moisture. 7. If the spill remains after this process, contact a carpet cleaning professional, like Chem-Dry of Tampa FL (813) 402-8403. Call Chem-dry of Tampa to remove spilled drinks from your carpet.